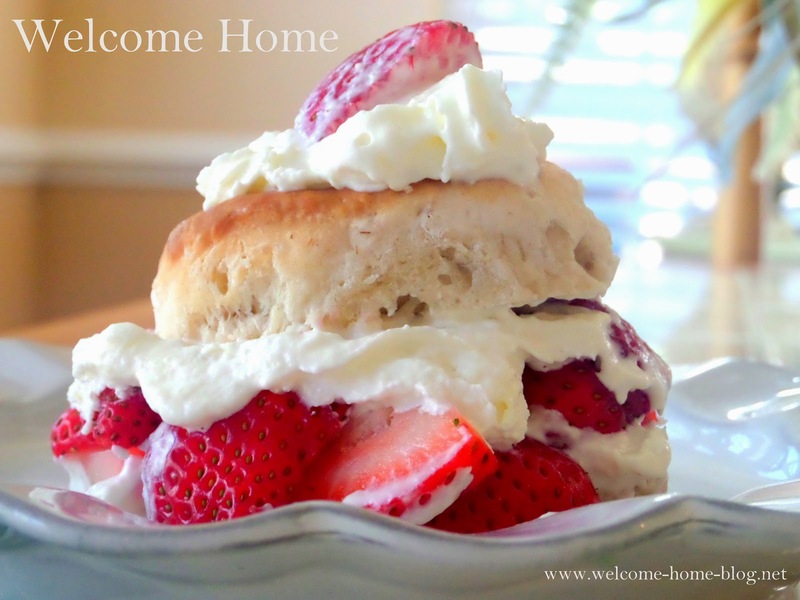 Welcome Home Blog: INTRODUCING: The Welcome Home Kitchen Online Magazine! INTRODUCING: The Welcome Home Kitchen Online Magazine! It's finally here! And as promised, it is gorgeous and bright and colorful and informative, and fun, and full of brand new recipes you have been waiting for! The first issue has now been released and I know you'll love it. You'll find recipes of course.....lots of them. Most are from my Mom's collection with big vibrant pictures to match every dish. I have how to's and lots of kitchen tips and advice. I have a Recipe Swap Corner and in our first issue we learn step by step on how to make a wonderful recipe from one of the fans here at Welcome Home! I have a Fur-Baby corner of course...and an Ask the Cook segment where I answer a tough question each month from one of the readers. And we have fun gifts and gadgets and other cool items at discounted prices when you buy through Welcome Home. One of the many never before seen recipe in the magazine! Each issue is just full of great recipes and how to's and I am certain you will instantly see the value that your $2 a month brings. And it's exclusive. It's only for you. It is so private that no one can even find it out there unless you know me....or know of me. Unless you know my mission and why I do what I do at Welcome Home you will never see this online publication. As always, some of the proceeds from The Welcome Home Kitchen Magazine will help me save the lives of dogs and cats who are killed unnecessarily while waiting in Kill shelters for someone to come and adopt them. And some of the proceeds will help me feed the homeless. That's right....only subscribers who pay the $24 annual subscription (only $2 an issue) will be able to see this online publication....it's that private. So, there are some steps I will walk you through next so that you can see it for the first time in just a few minutes. Step 4: Enter your name and your new Gmail address and other information and then go to the next step. Enter your payment information for the $24 annual subscription. You can choose a credit card you'd like to use or you can click on PayPal. Step 6. Within a few minutes, as soon as I get your email confirmation from 2Checks, I will send you an invitation to become a private member of The Welcome Home Kitchen to your new Gmail address. Click on the orange button that says ACCEPT. You must still stay logged into your gmail account when you go to the magazine. Then you will be directed to the link of the new magazine. And you're all set. Step 7: Each month....around the 1st of the month, you will be notified that a new issue has just been released. You will always have access to all past issues just by visiting and each month will shown so you can go back and find whatever you are looking for. And it will only get better. As I listen to your suggestions, I will add new features. Like contests and give-a-ways. Best recipe submitted by a fan. Best fur baby picture submitted by a fan. An open forum for you to chat with other members and so much more. I am open to new ideas and suggestions!Please help me save lives...and enjoy this bright new magazine today.